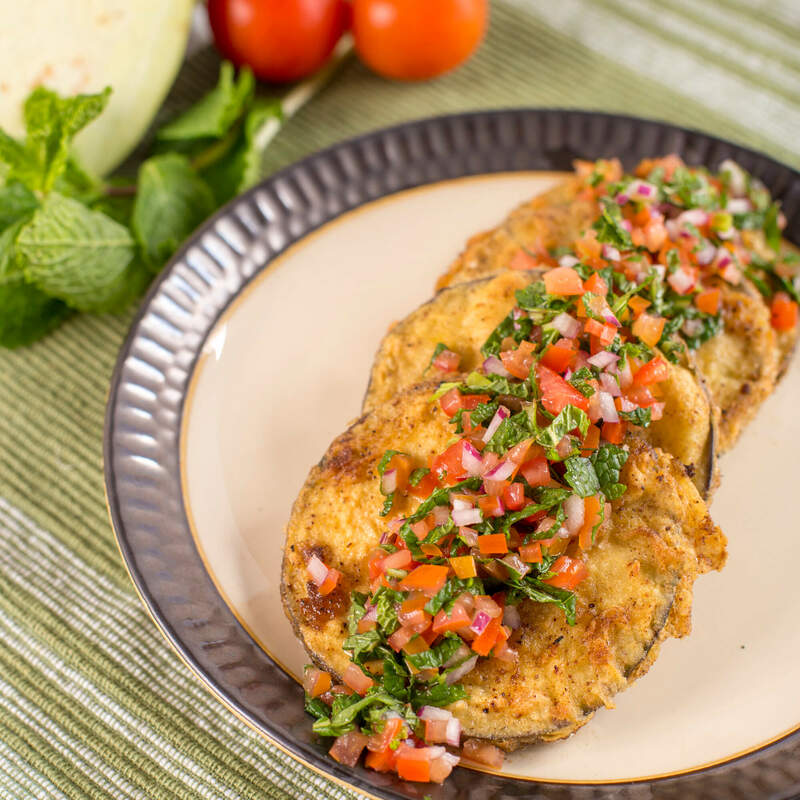 Here’s a new way to relish freshly fried eggplant: Royal® Sharbati Atta Fried Eggplant with Tomato Mint Relish! In a small-medium bowl, combine tomatoes, shallot, mint, sugar, vinegar, and salt. Stir, then cover and set aside. 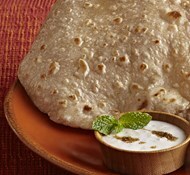 Set ½ cup of the Sharbati Atta aside on a plate or in a shallow bowl. Combine remaining flour with salt, pepper, and sumac. Whisk together and set on a plate or in a shallow bowl. Whisk egg and place in a shallow bowl. This will create a dredging station. Coat (or “dredge”) the eggplant slices first in the plain Sharbati Atta, coating both sides. 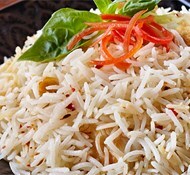 Repeat with the egg, then the seasoned Sharbati Atta (each slice should be coated on each side in all three things). Continue until all of the eggplant is coated. Set coated slices aside on a plate. Heat ½ cup oil in a medium saute pan over medium-high heat. Once the oil is hot, begin adding eggplant. It is ready if it sizzles when you add a slice of eggplant. Cook slices on each side for 2-3 minutes until the coating is golden brown, being careful not to burn them. Reduce the heat if the oil is smoking or if the eggplant is getting too dark. Drain the slices over paper towels on a plate.. Serve eggplant hot or at room temperature with the fresh tomato mint relish.